It's gratifying to watch the penny drop when you are speaking to a new audience, as I did on 12 July at the Ryde District Historical Society. Actually, I'd wondered a few days beforehand whether anyone would come on the night, having looked at the RDHS online list of 'forthcoming events'. My talk was advertised only as Brothers in Arms: The Great War Letters of Captain Nigel Boulton, R.A.M.C. 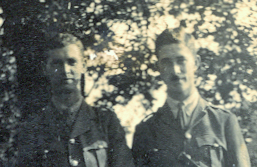 & Lieut Stephen Boulton, A.I.F., with no other preamble. Would you see reason to turn up? Q1. Why am I giving this talk now? A1. Because this was the group's monthly meeting closest to the centenary of the battle at Pozières, on the Western Front. Nigel's brother Stephen Boulton was there, 100 years ago. I showed slides of Pozières and explained its significance in Australian history. Q2. Why am I giving it here, at Ryde? A2. Because the Boultons had lived in the Ryde district for many years from mid 1890s to 1969. I showed slides of the family and the houses where they'd lived at Gladesville, all part of RDHS's local history but now obliterated by redevelopment. Q3. What will you gain from reading my book? A3. My book has special features as a 'war book'. It tells a start-to-finish story of 1914-18. It shows how Germany nearly won the war in the Spring of 1918 and how important was the role played by Australians. It's about relationships. 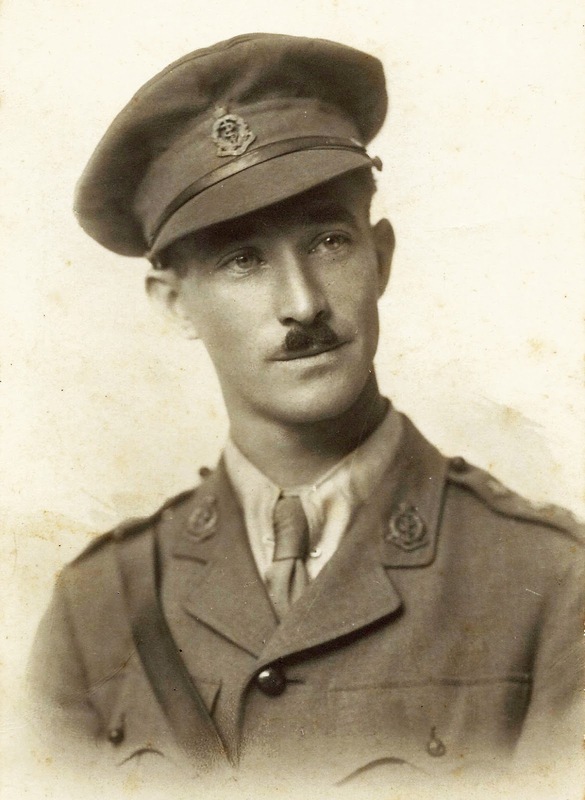 My slides included pictures of Dr Nigel Boulton, working for the British Army, and his brother, in the Australian artillery. When I arrived the room contained an audience, thank goodness, and using my trusty Powerpoint slides I tried to reward attendees for coming out on a cold winter's night. Brows wrinkled with puzzlement and then sighs of satisfaction were released as men and women in the audience realised I was talking about their old family doctor. Person 1. "Wait a minute, was that the Dr Boulton in Blaxland Rd?" "Really? He was our family doctor." Person 2. "You mean Nigee Boulton, at the hospital?" "For goodness sake, I was a young nurse on duty with him years ago." Person 3. "Hey, that was the doctor's name on my birth certificate." "Quite likely. He practised round here for nearly 50 years after WW1." Person 4. "I'm going home to check my birth certificate too." I feel Dr. Nigel Boulton, if his practice was in Ryde NSW was our family Dr. If so I remember as a child his rooms near Ryde Police Station and a glass cabinet containing a number of World War I items including what was probably a German Officers steel helmet. Naturally I telephoned Ron, who passed on some interesting anecdotes. Ron's first point, about his Christian names. Ron's parents were Stanley Hansard and Amy Fulton. Amy was born in 1894 at Niangla near Walcha and her mother died in 1896 when Amy was 2. She and her siblings fended for themselves for about 6 weeks, & were then farmed out to various relatives, with Amy raised by her mother’s childless sister Jessie (née Abernethy) and her husband George Gibson on the understanding the child should believe she was a Gibson. She farewelled her brother Bob off to WW1, not realising he was her brother and not her cousin. Robert John Fulton, aged 23 of Richard St, Ryde in 1915, listing his next of kin as his brother J Fulton, was killed at Fromelles on 19 July 1916 and his body has never been found. When Amy married Stanley Hansard in 1923 she’d become aware of her true family history. Then she lost a still-born daughter in 1924. By the time Ron was born in 1925, his mother Amy had strong feelings about the significance of past family connections. 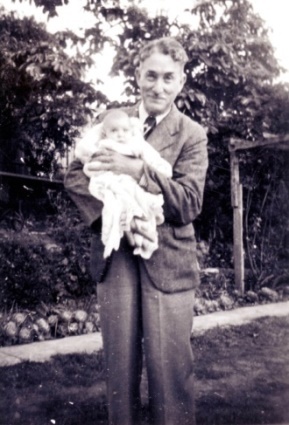 As a result, Ron was named as Ronald George Abernethy Hansard, with nurse Black and Dr Nigel Boulton present at his birth. When I was born on 7 June 1925 the family doctor asked what name was being given to me. Mum replied ‘Ronald George Abernethy Hansard’. Doctor said, ‘You both have one Christian name and you’re loading all this on this child.’ It is only in the last twenty years that I have come to use and appreciate my Scot name. Ron remembered his family doctor as physically lean, quiet by nature and very caring. Ron's parents had five children and little money, and when protracted illness struck Ron's father during the 1930s, more than once a box of groceries was delivered anonymously to Ron's mother. She always believed they were sent by Dr Boulton. Ron's family was active in the Baptist Church but Nigel told them he was agnostic, after his wartime experiences. When Ron later felt called to the Ministry, involving years of further study, Nigel said to him 'Should you be doing that? ', as if reminding Ron that, as the eldest, he owed something to his parents and younger siblings as a provider. Q. Ryde School children believed he was building an aeroplane under Tuttlebees Grocery store opposite in Lane Cove Rd and would sneak down the lane way beside the shop to peer inside into the gloomy interior to see if it was true (about 1934). Was it? A. I'm not sure. He did learn to fly and participated in the East-West air race from Sydney to Perth in 1929, getting as far as Melbourne. Q. Was the rumour true that Dr’s first wife left him as she could no longer stand the pressure of being a Dr’s wife? A. No, Mona liked having a good time and in 1923 she ran off with a man who'd stayed behind in Australia and had never been involved in the horrors of World War 1, whereas Nigel was probably a bit inclined to depression after his gruesome experiences in that war. He retained custody of his two boys, who were educated at The King's School, Parramatta. He remarried in 1927 but the marriage was unhappy and lasted about 10 years. In his early 60s he found happiness with his third wife. Ron put me in touch with his cousin, Joan Fulton, who said she was born in 1923 and thinks Dr Boulton also delivered her. Until she moved away in 1948 he was her family's doctor and she remembers him as a kind, rather serious man. His surgery was in a red brick house on the corner of Blaxland Rd & Lane Cove Rd, with beautiful views across to the Blue Mountains. Joan doesn't remember the presence of a wife in his life. When Joan caught scarlet fever at the age of 17 her mother did not want her to go automatically to an isolation ward in hospital and Dr Boulton, an expert at treating fevers of every kind as an army doctor, allowed Joan to stay at home. Her mother had a lot of praise for him, especially because he was very kind towards any young woman who got herself 'into trouble'. He would send her away to someone he knew in the country who would look after her until the baby was born. Nigel was my grandmother Thea's brother and thus my great-uncle. Sadly he has no descendants from either son, so had to make do with his sister's grandchildren. He practised as a doctor at Ryde from around 1920 until his death in 1969 at the age of 80. If you have memories of him in this period, I'd love to hear from you. Leave a comment below. And don't forget - to discover more about Nigel's life and role in WW1, you are invited to buy my book!